You are here: Home / Blog / Yepton Beach Vacation Antigua / Enjoy a great time with bird watching in Antigua! Antigua is truly one of the most wonderful islands situated at the Caribbean. This island is famous as the ultimate spot for honeymoon and holidays because of its superb beaches, warm climate and culture. The island isn’t just abundant with fish; it is also perfect for local bird watching and familiarization of the bird species nesting in the Caribbean. Our vacation houses are set near Yepton Beach in Antigua. The landscape is teeming with birds such as Antillean Crested Hummingbird, Green-throated Carib, Carib Grackles, White-crowned Pigeons and Bananaquits. These species of birds are just some of the common birds nesting within our vacation houses’ garden. And just a little walk away from your accommodation, you will see a number of Black-necked Stilts and Wilson’s Plovers nursing their young. Mangrove colonies are home for bird species like punk-headed baby Tricoloured Herons, Snowy and Great White Egrets and Brown Pelicans which you can actually watch from close distance! You literally do not have to go far to watch birds at Antigua. This wonderful island offers the opportunity that the birds will come right to you to amaze you, even if you are not a professional birdwatcher. 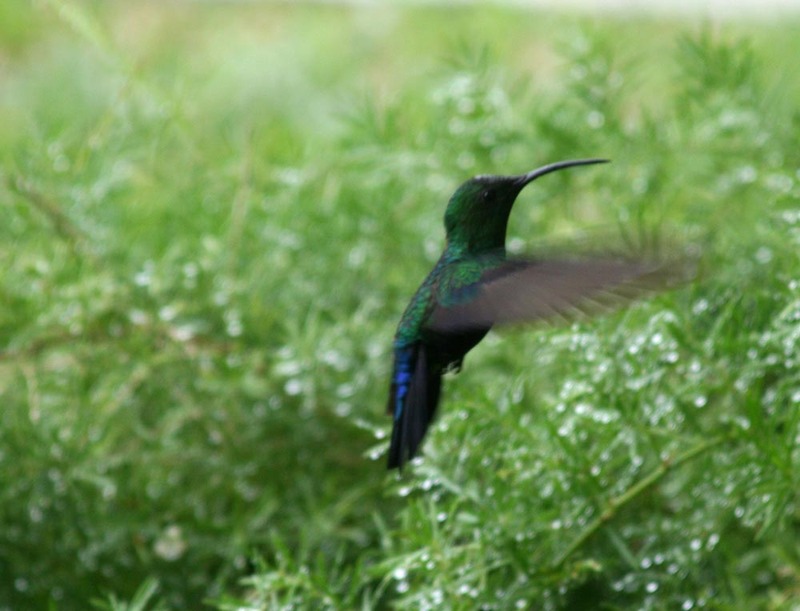 What if you are planning to go to Antigua as a bird watching enthusiast just to study the bird species of the Caribbean? I am sure you want to see and examine as many as bird as possible. Then you might want to schedule a whole day trip to the Great Bird Island, a minute rocky island that will not just give you an astounding view for bird watching but also an action packed journey while you climb the rocky hills of this magnificent landscape. Bird species like Sooty Terns, Bridled Terns, Laughing Gulls, and Brown Noddies are common inhabitants of this rocky solitary island. Bird watching fanatics sometimes even report that they spotted one of the most fascinating birds in the island: the tantalizing Red-billed Tropicbird, a dream bird for some. If you are planning to have your vacation here at Antigua, make sure that you include bird watching to your usual snorkeling, paddle boarding and island hopping activities. Remember that marine and wildlife encounter such as fishing and bird watching while you are here at Antigua will not just make your stay more enjoyable. It will surely make your experience more memorable and will make you and your family keep coming back to Antigua for more! http://www.yepton.com/wp-content/uploads/2015/04/birdwatching.jpg 764 1000 Gabriela Luery http://www.yepton.com/wp-content/uploads/2014/09/yeptonlogoheader.png Gabriela Luery2015-04-28 23:53:222019-04-08 08:03:00Enjoy a great time with bird watching in Antigua!